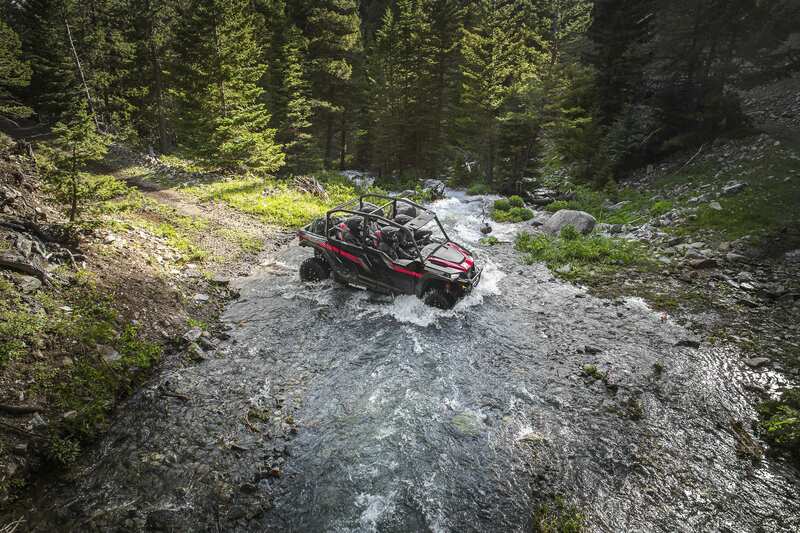 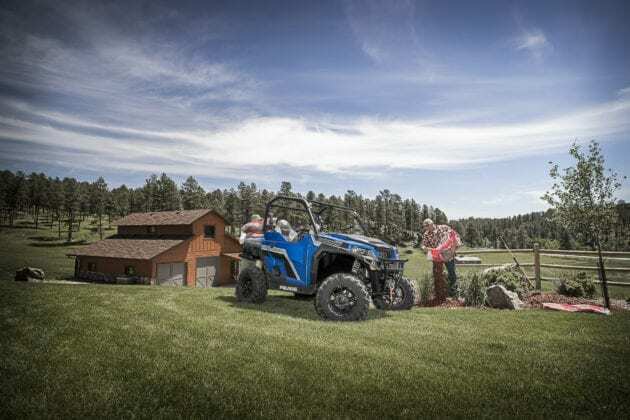 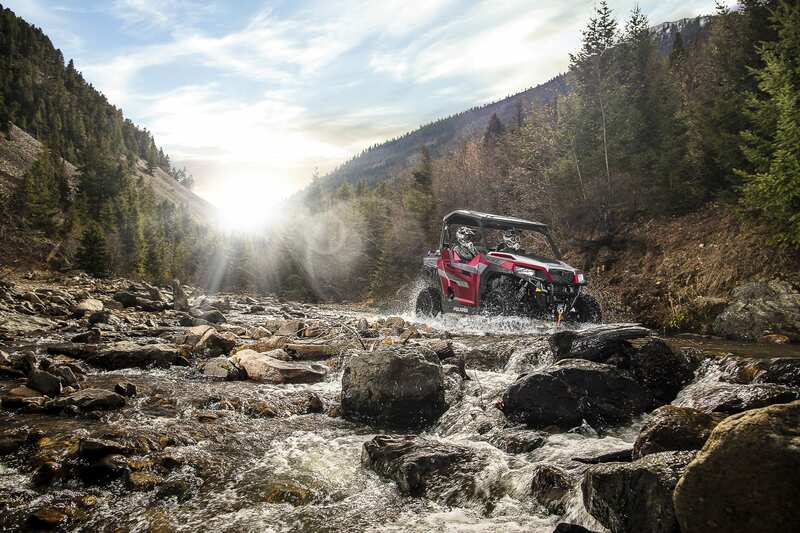 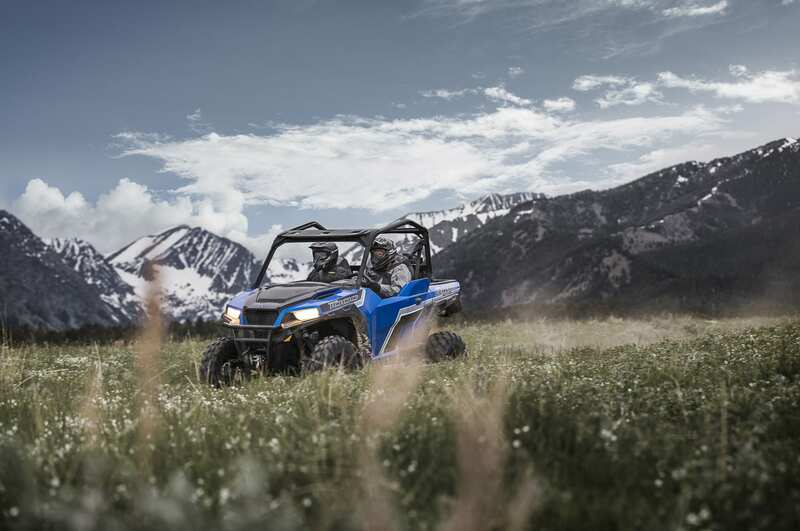 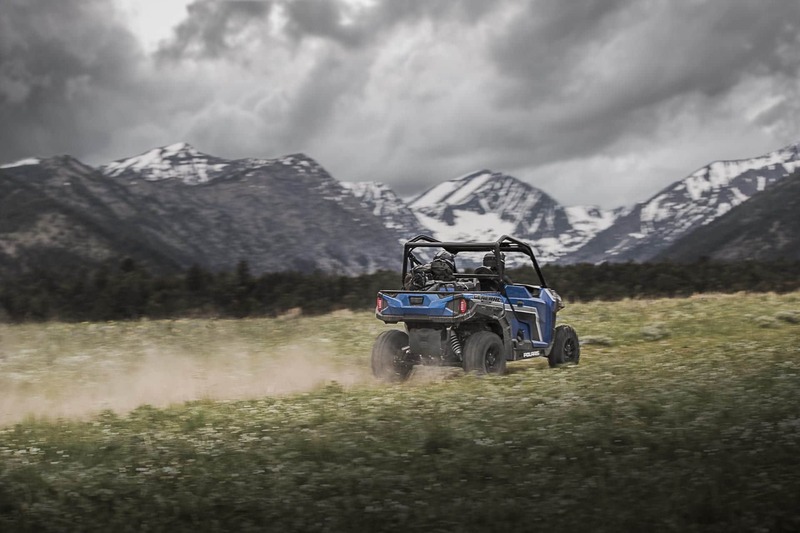 In just 18 months since its launch, the Polaris® GENERAL™ has become the best-selling crossover side-by-side (SxS) on the market. 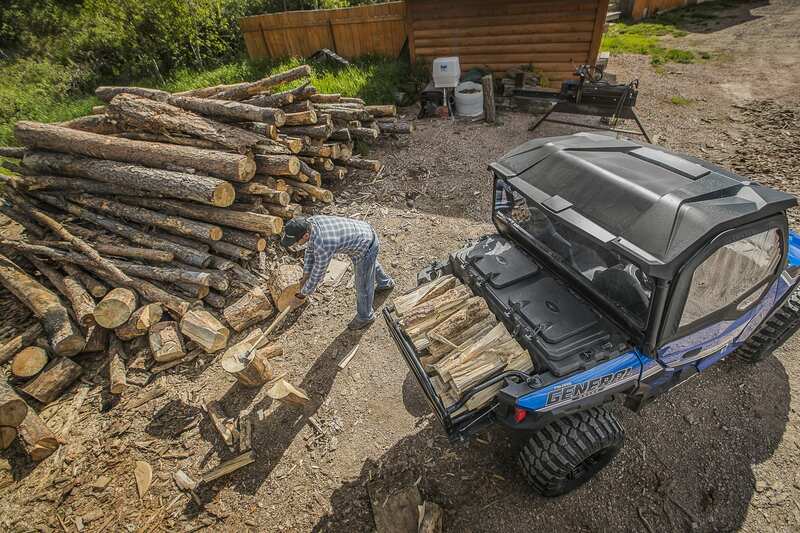 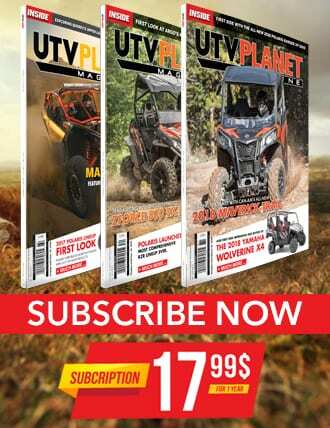 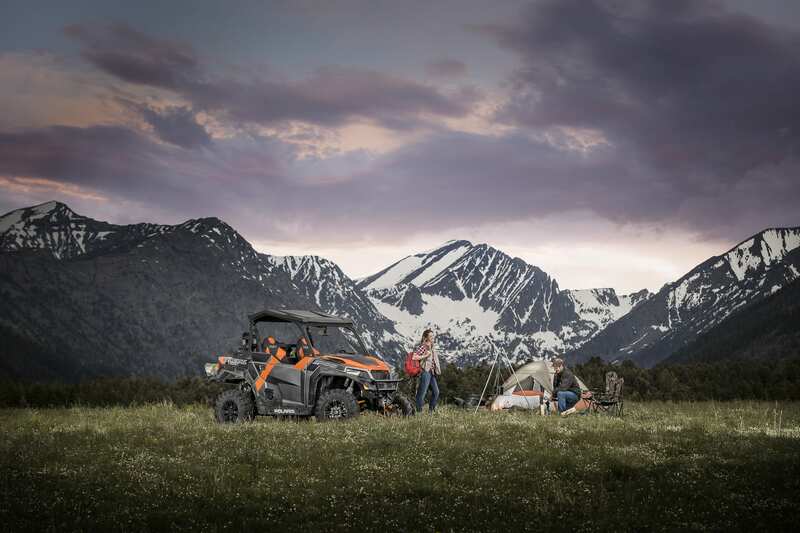 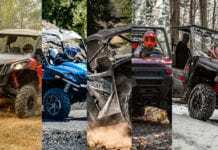 Proven as the most versatile recreational utility vehicle ever built, with class-leading performance and payload built for hauling, owners are finding it capable for any task and any trail. 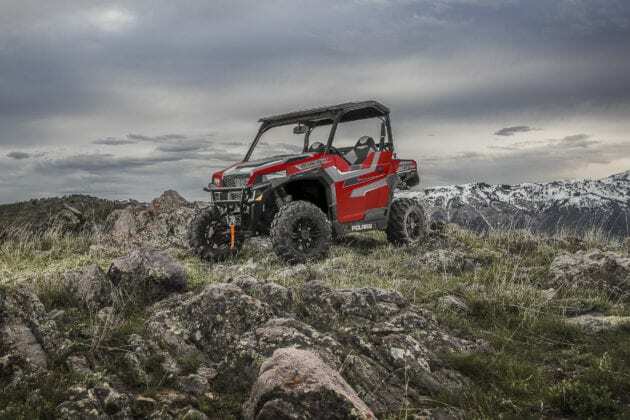 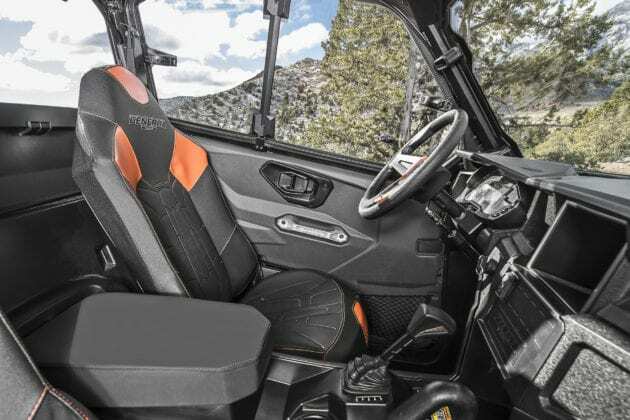 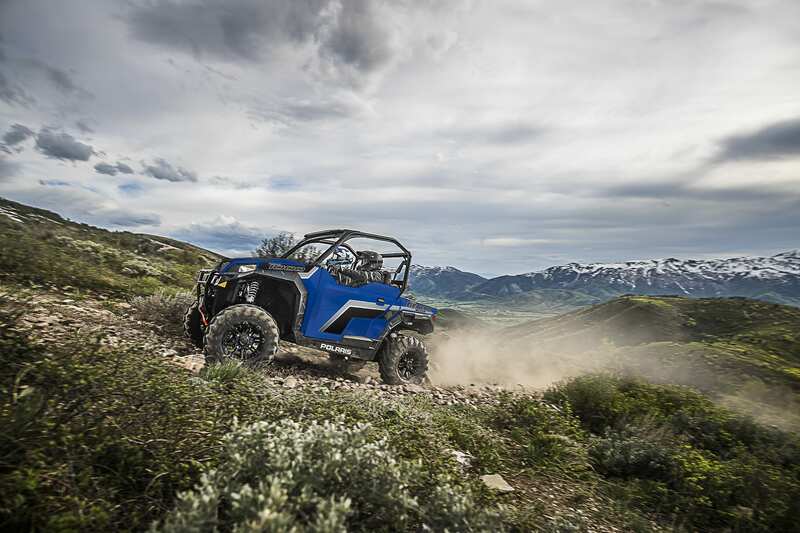 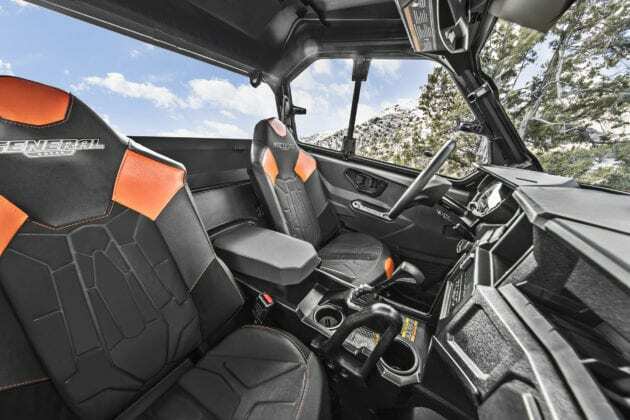 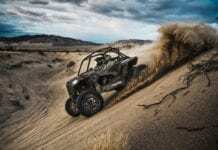 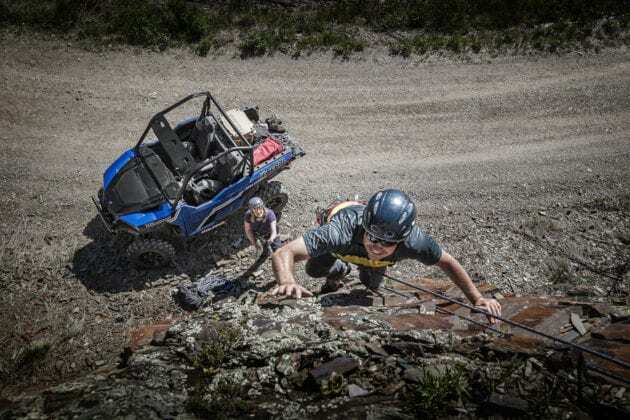 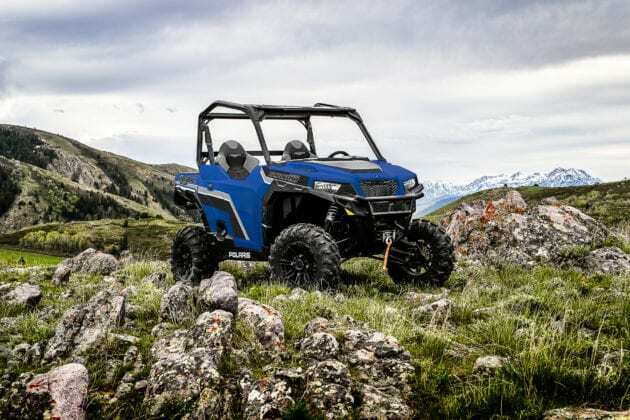 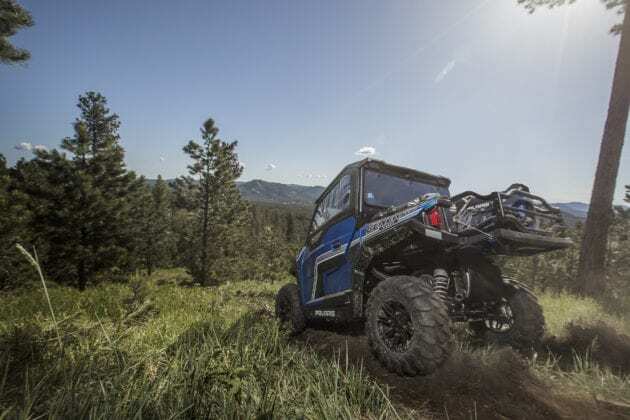 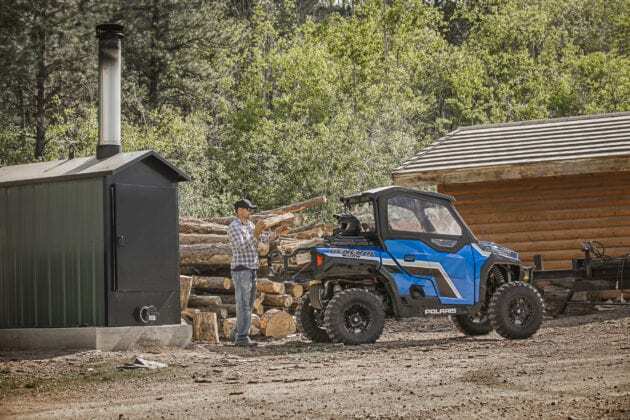 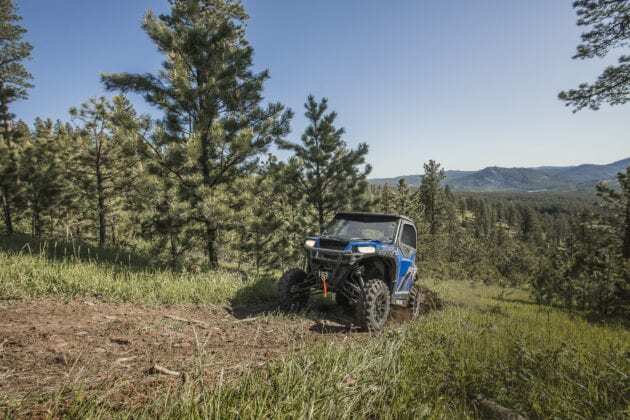 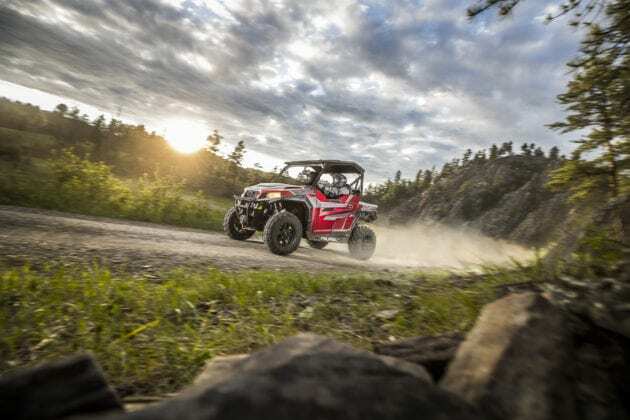 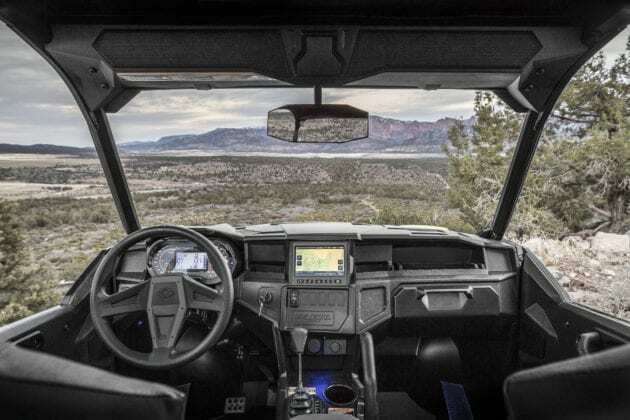 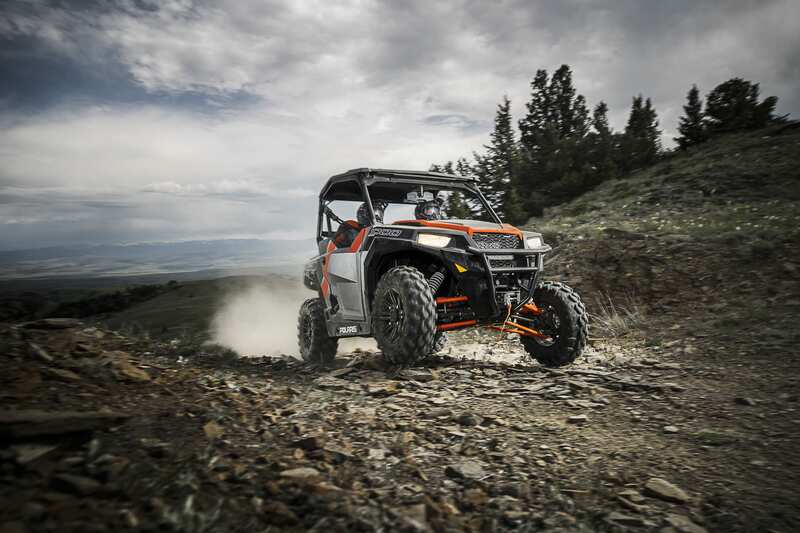 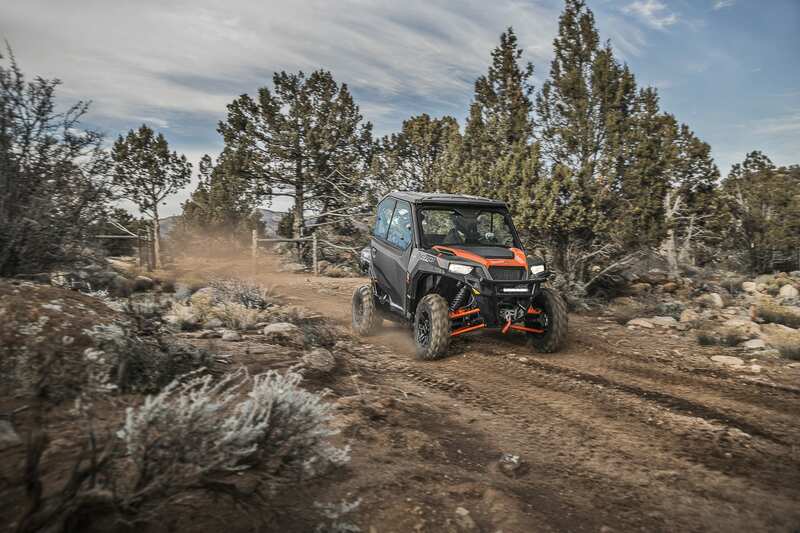 Built on a sport chassis and loaded with a spacious cab, hearty powertrain and a dump box, Polaris GENERAL is the top choice for the experienced off-road adventurer as well as the first-time buyer. New for Model Year 2018, Polaris has given the GENERAL more durability, more performance and more models to choose from. All GENERAL models boost a best-in-class 100-horsepower ProStar® 1000 engine, 1100-lb. (49.9-kg.) payload, 12.25 in. 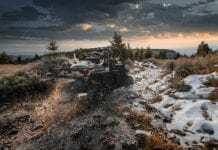 (31.11 cm.) 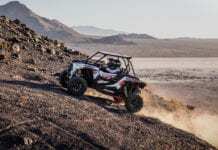 of suspension travel, 12 in. (30.48 cm.) of ground clearance and 600-lb. 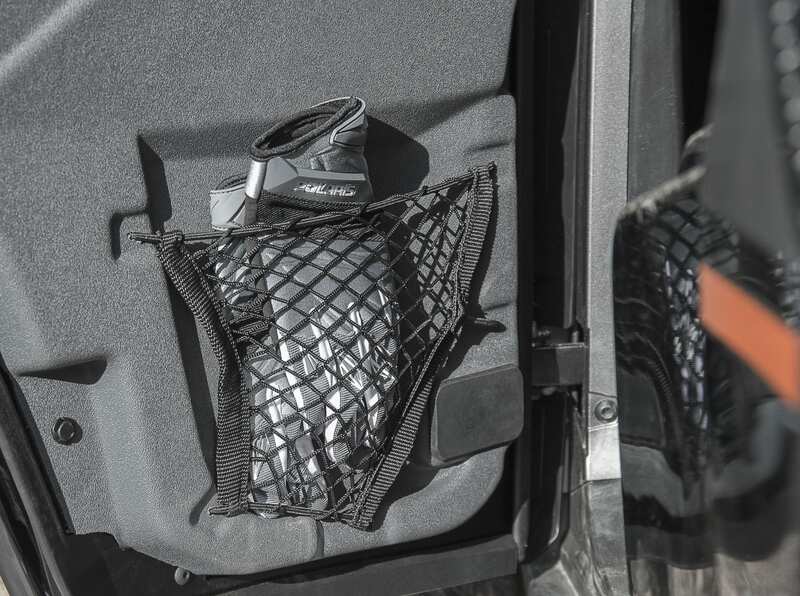 (272-kg) dump box. 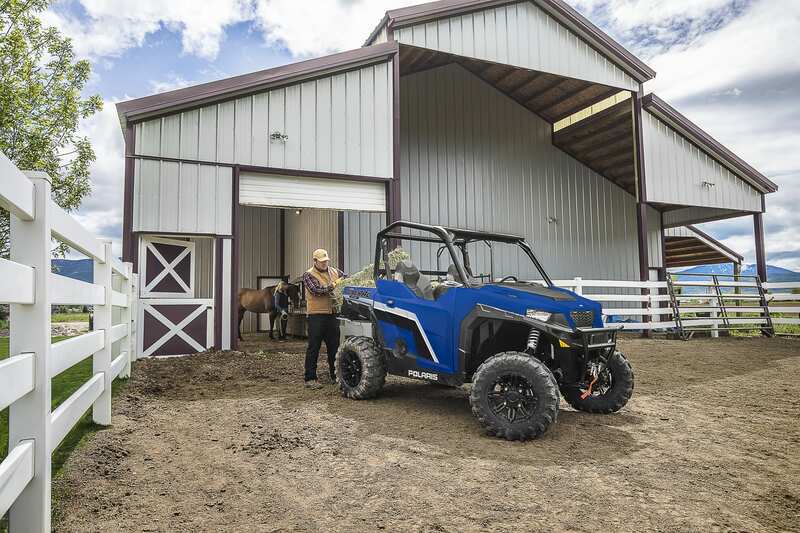 Standard features include: VersaTrac® Turf Mode, electronic power steering (EPS), solid half doors and an engine braking system (EBS). 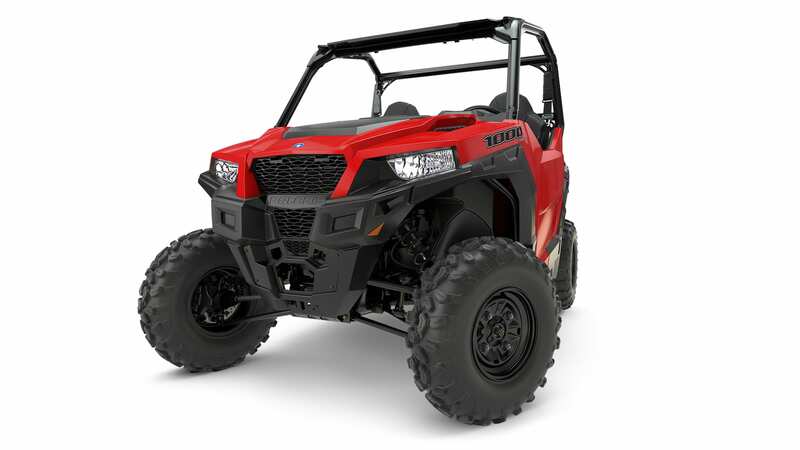 GENERAL 1000 EPS: Starts at $16,299 in Indy Red, with all the features that made GENERAL a market leader. GENERAL 1000 EPS Premium: Includes automotive-style metallic paint in Radar Blue, Sport Low Profile Front Bumper with Polaris HD 4500-lb. 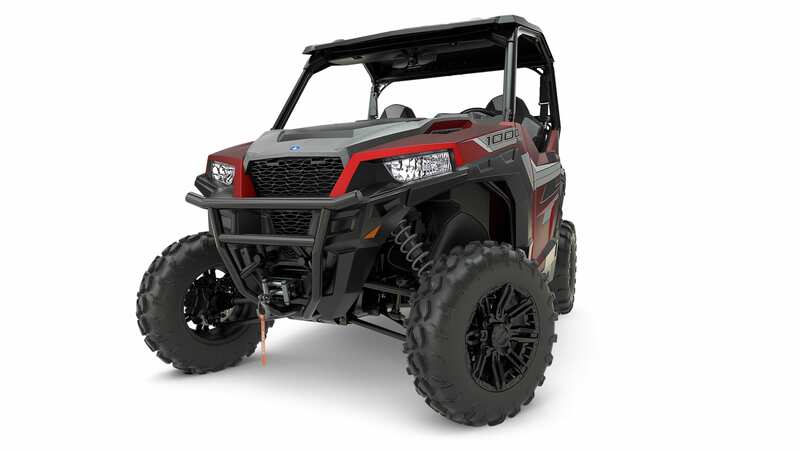 (2041-kg) winch, and 14-inch (35.56-cm) Matte Black cast aluminum wheels paired with 27-in. 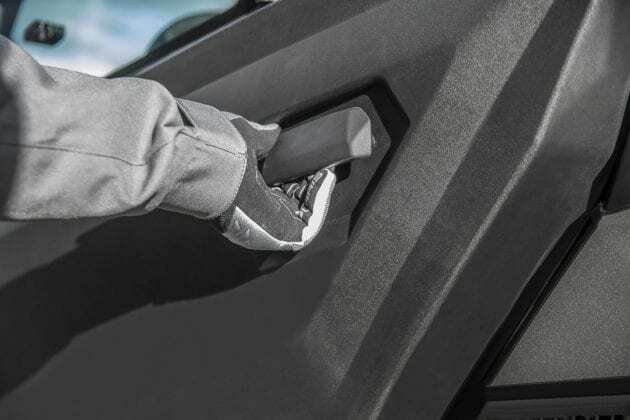 (68.58-cm.) Maxxis® Coronado Tires. 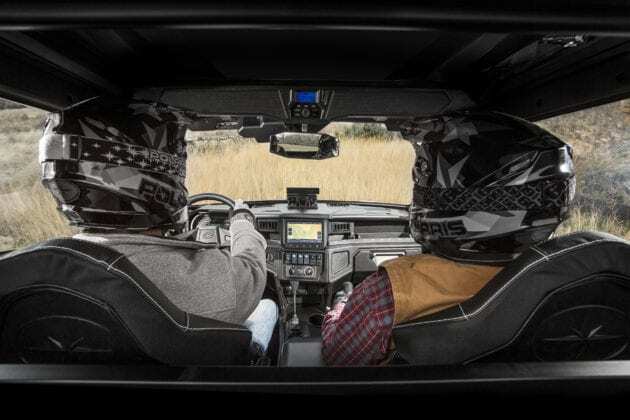 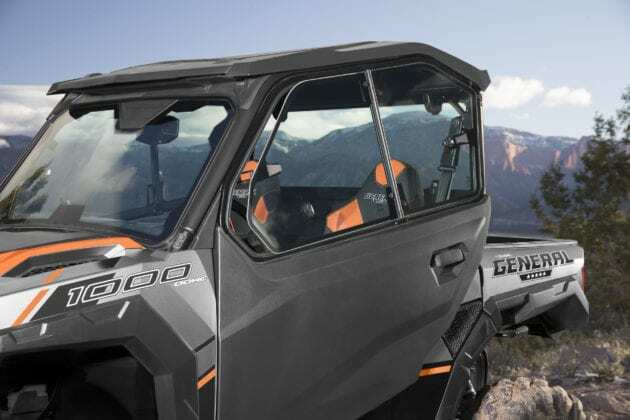 GENERAL 1000 EPS Deluxe: Has all the features of the premium model with even more customer favorites including FOX® 2.0 Podium X QS3 Shocks, Lock & Ride® Sport Roof, rear-view mirror, MTX® Premium Sound Bar with eight-speakers delivering 100-watts of premium audio and Bluetooth® connectivity. 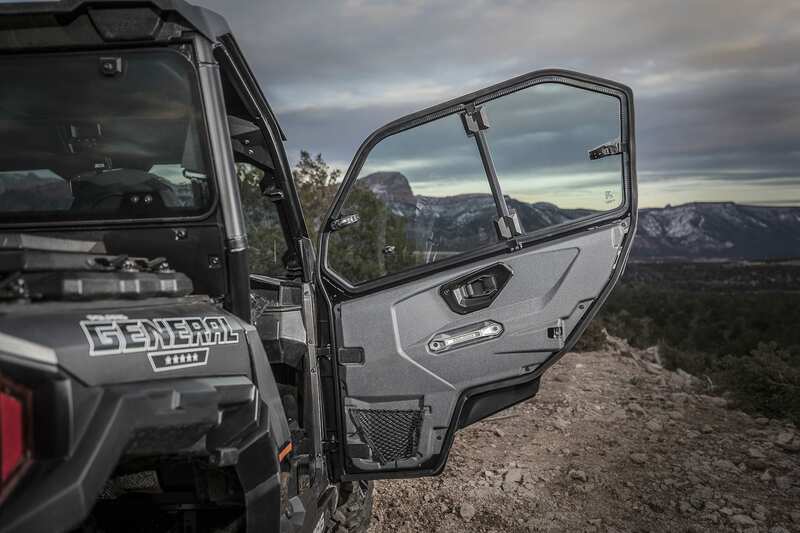 Available in Gloss Titanium Metallic. 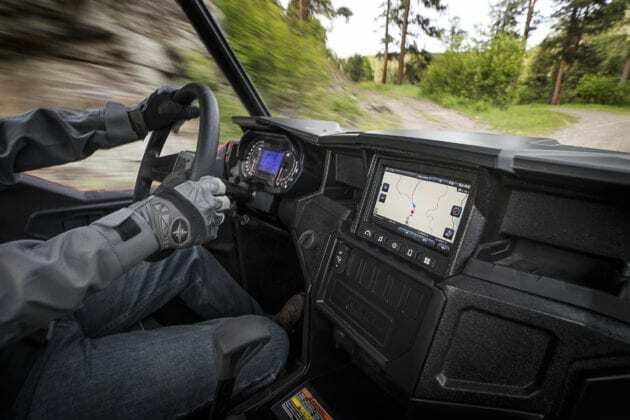 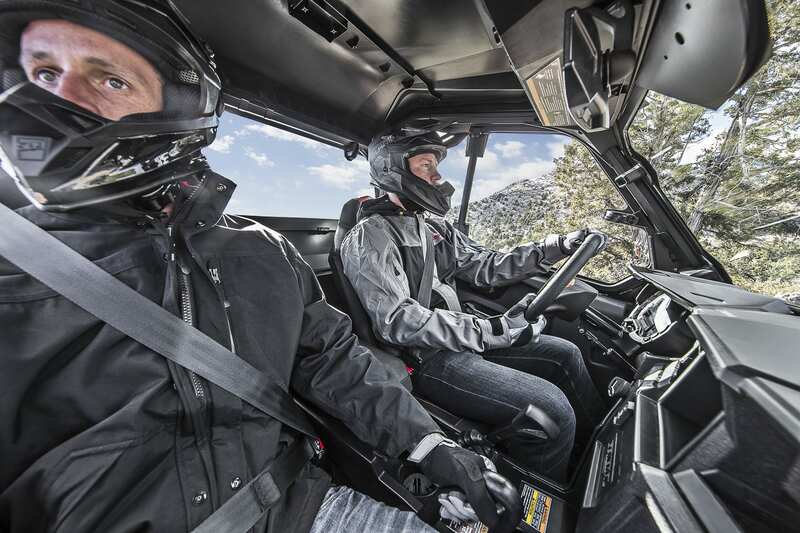 GENERAL 1000 EPS RIDE COMMAND®: Features the RIDE COMMAND 7-in. glove-touch display, on-board front and rear cameras, GPS, MTX Premium 8-Speaker Sound Bar, Sport Low Profile Front Bumper, Polaris HD 4500-lb. 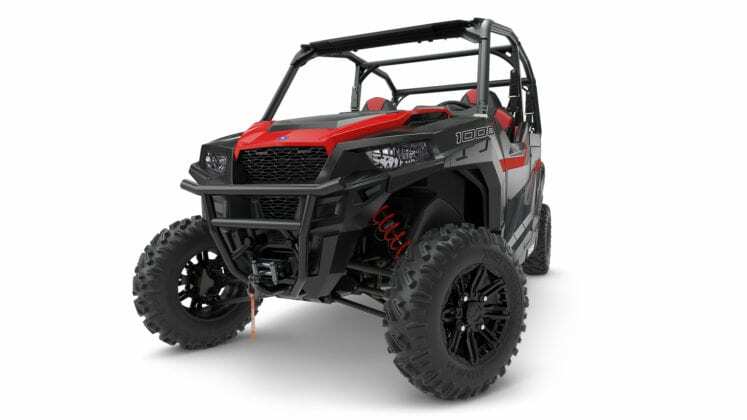 winch, Lock & Ride Sport Roof and FOX 2.0 Podium X QS3 shocks. Revolutionizing the ride, RIDE COMMAND enables riders to record and save their own route, create a group and see the location of riders in it, and control their GoPro. 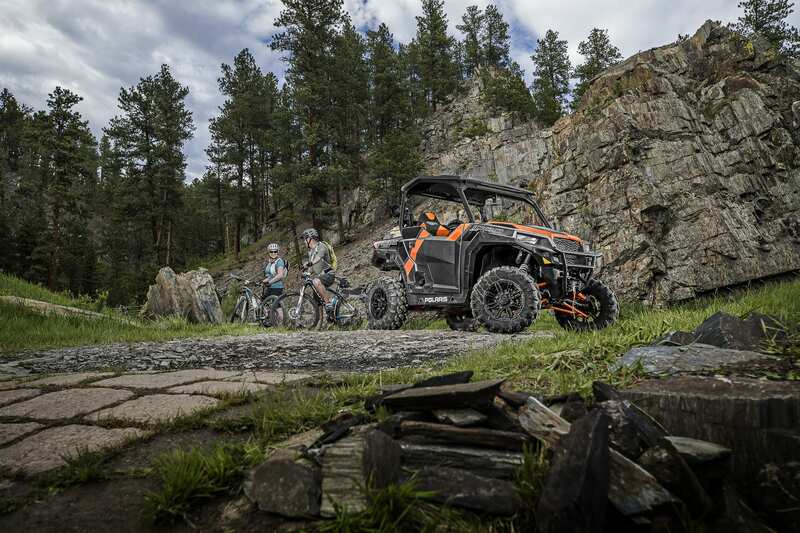 New for 2018, group riding has been enhanced with follow-the-leader functionality, now allowing riders to view the location, distance and routes of others in the group in real time. Available in Matte Sunset Red. 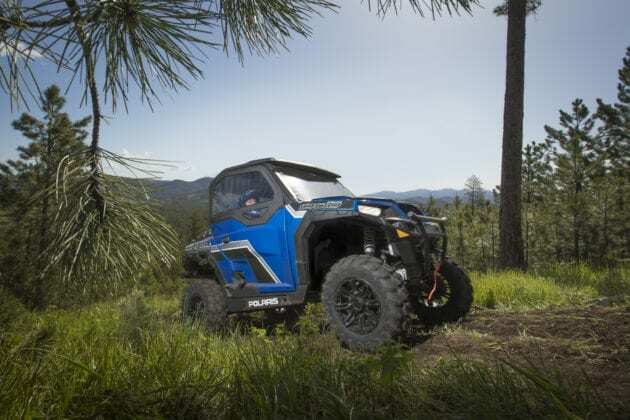 GENERAL 4 1000 EPS: New for 2018, the Polaris GENERAL 4 1000 EPS features adjustable FOX 2.0 Podium X QS3 Shocks for an even smoother ride and more control when carrying payload. 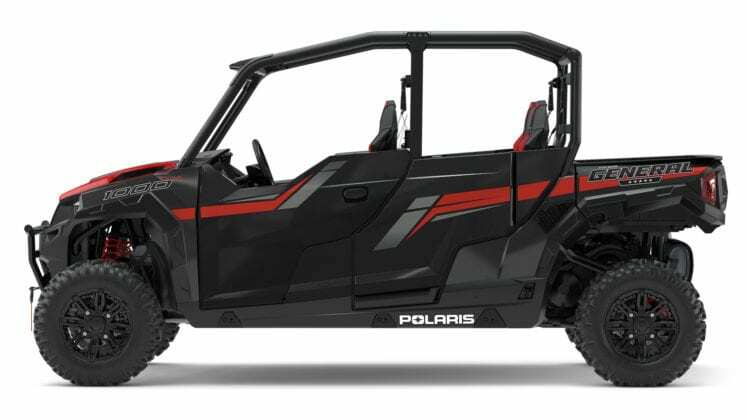 The vehicle is available in Black Pearl. 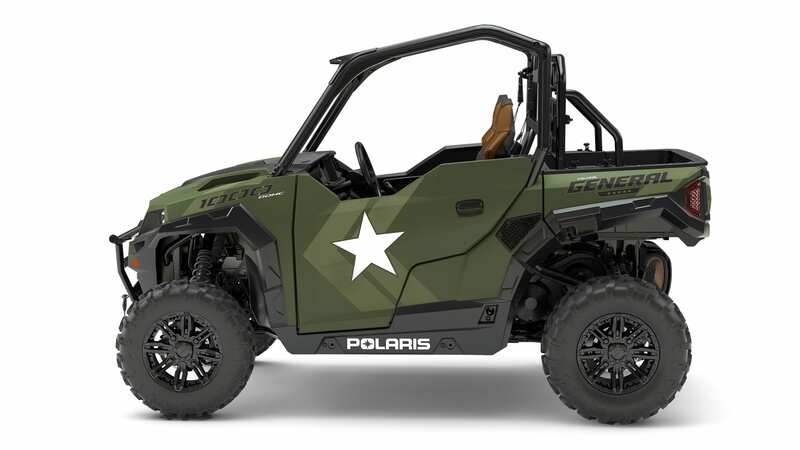 To meet demand and seasonal trends, Polaris is launching two Special Edition GENERALs for those looking to be adventurous in style. 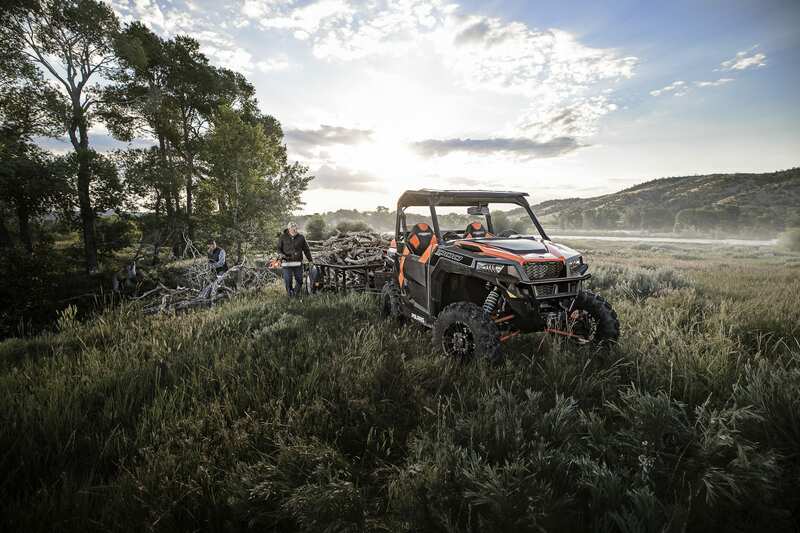 The Polaris GENERAL 1000 EPS Hunter Edition in Polaris Pursuit® Camo returns with a 4,500-lb. 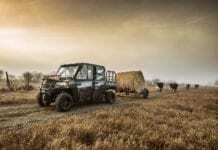 (2041-kg.) 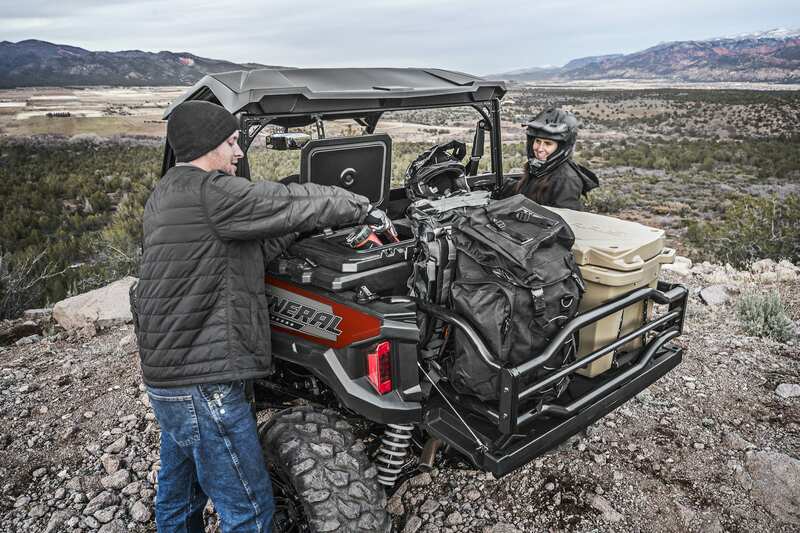 Polaris winch, Sport Low Profile Front Bumper and Dual-Gun Scabbard Mount with two Polaris Gun Boots by Kolpin®. All new for 2018 is the Polaris GENERAL 1000 EPS Limited Edition featuring custom military-themed graphics on Matte Sagebrush Green automotive-style paint, cut and sew leather-like custom seats, and a Lock & Ride Tip-Down Headache Rack for that rugged look.